Our Christmas Disco professional party djs will play all the festive favorites to ensure your party has that essential Christmas flavour. Or we can leave these to one side and style the party to suit your music choice. For instance Dance and Party tunes, or music to make it a theme Disco. 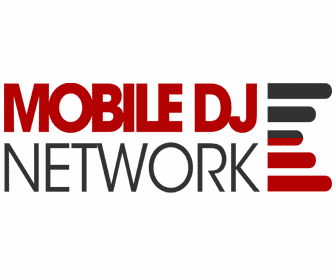 We are djs who can also play the current charts or a mix of everything. We can mix the latest chart music with the greatest floor filling party classics from the past. 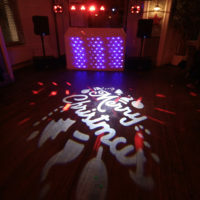 We have provided Mobile discos for Christmas parties Since 1988. 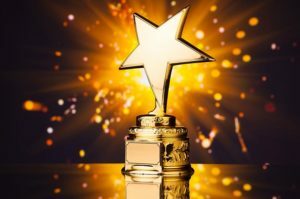 Some of these parties have been formal Dinner dances, hotel functions, kids parties and office Christmas party complete with tree, decorations, and Father Christmas. Unfortunately at Christmas we get many last minute calls from people who have booked a no show mobile disco and the DJ has let them down at the last minute. This happens because at Christmas demand for DJs is very high, even the unprofessional ones. 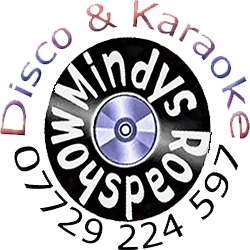 Some Mobile Discos don’t turn up because the DJ has been offered better money elsewhere in spite of this, we will treat your Christmas party as a top priority, and Mindy’s Roadshow is 100% reliable. 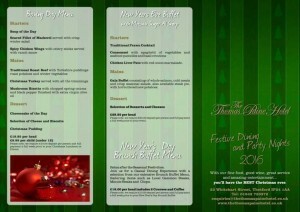 Organising a office Christmas party can be very stressful. 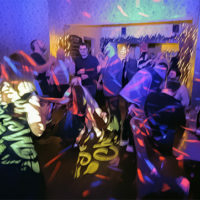 Hiring a reliable Mobile Disco with a experienced party DJ who can deliver what’s promised will be one less thing to worry about. 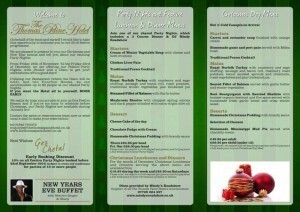 We can advise clients advice on all aspects of organising a party and we are committed to make your Christmas party the fantastic success it should be. Please call 07729 224 597 or email or Contact Us for an informal discussion as to your own individual requirements.